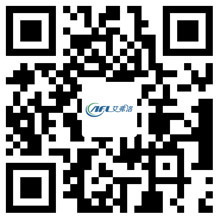 Replace the AFL Fan Motor with the Steps - Hangzhou Airflow Electric Appliances Co.,Ltd. The AFL fan motor is one of the most important components of the fan. Of course, if the motor fails, can not be used, then the function no matter how good the motor is useless. Let's look at how to replace the motor correctly. Once you are ready to install a universal fan motor, first turn off all AC power through the circuit breaker box, in order to protect your safety. It is very important that you do not skip this step. Before removing anything, please note the wiring of the motor (wiring color, connection method, etc.). The fans and motors can now be disassembled, which is usually done by removing the bolts on the fixed motor's tape. In some units, these bolts are actually connected directly to the motor. Now remove the fan blades. Before doing so, please note the position of the blade on the shaft. Loosen the screw and remove the blade from the motor shaft by twisting and tightening. Once the old unit comes out, to install the new unit, just reverse the process. Be extra careful when reinstalling fan blades. Make sure that the blade is centered on the fan motor's opening. But you have not finished yet. Each time you replace the fan motor, you should also replace the AC capacitor, which is a cylindrical device that helps to start or run the motor. To replace it, remove all wires on the unit again and pay attention to the wiring color and position before removing it with a screwdriver. As with the fan motor, your running capacitor replacement selection is based on its technical data, not the shape or size. If you just replace the damaged fan motor is certainly not enough, you also need to carry out its daily maintenance, such as regular removal of the backlog of dust and dirt.